This week we learnt about rotoscoping and 2D camera tracking within nuke. 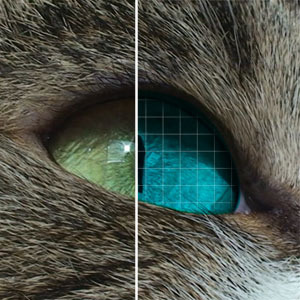 I had a go at changing the colour of this cat's eye using these techniques. I am pretty certain I could have achieved a faster and more accurate result by using a chrominance key, but the point of this exercise was to practice using these tools, as having these skills is imperative in the industry.